Funeral services for Robert Alan Mann, 68, will be held at 1:00 P.M. Thursday, November 29, 2018 at the Douglas Baptist Church in Douglas, Wyoming with Pastor Roy Phillips officiating. Interment will be in the Douglas Park Cemetery. Robert Mann passed away Monday, November 19, 2018 at the Wyoming Medical Center in Casper, Wyoming following a heart infection. He was born Sunday, July 16, 1950, in Alhambra, California the son of Leslie Dwight and Hazel Ilene (Galloway) Mann. He was reared in Hacienda Heights, California and graduated with a Business Administration degree from Mount San Antonio in Walnut, California. On October 12, 1973 in La Puente, he married Janet Marie Conway, who survives. He started working for Mattel Inc. in quality control for three years, and then as a manager at Jack in the Box for five years. After moving to Wyoming in 1975, he started in data processing with First Interstate for thirteen years, before moving on to Hilltop National Bank, where he retired after twenty-six years in 2017. He then joined the Douglas Recreation Center in Douglas as a monitor until his death. 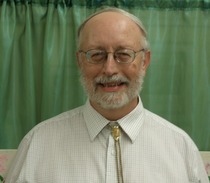 Mr. Mann was a member of Douglas Baptist Church in Douglas and Calvary Baptist Church in Casper. He enjoyed playing games of all kinds, antiques, and landscaping around his property. He loved being around youth and organized a yearly scavenger hunt with youth groups across Wyoming held in Douglas. Robert is survived by his son, Chad and Faith of Ocala, Florida; daughter, Bridget and Charlie of Missouri; siblings, Richard and Deanna of Ashland, Oregon, Terry and Melinda of White City, Oregon, Linda Diane Sparks of Tucson, Arizona, David and Susan of Eagle Point, Oregon, and Leslie Dwight “Daniel” of San Jose, California; and nine grandchildren. Family and friends may call at the church on Thursday from 11:30 A.M. to 1:00 P.M.
A memorial to the Douglas Baptist Church Youth Program, 135 Pearson Road, Douglas, Wyoming 82633 would be appreciated by the family.